An indispensable guide for all parents and caretakers that covers a wide range of childhood emergencies. From anaphylaxis to burns to severe bleeding and bruising, First Aid Fast for Babies and Children offers clear advice, and step-by-step photographs show you what to do. This revised and updated fifth edition abides by all the latest health guidelines and makes first aid less daunting by giving more prominence to essential actions. Quick reference symbols at the end of every sequence indicate whether to seek medical advice, take your child to the hospital, or call an ambulance, and question-and-answer sections provide additional easy-to-access information. It even includes helpful advice on child safety in and around the home. 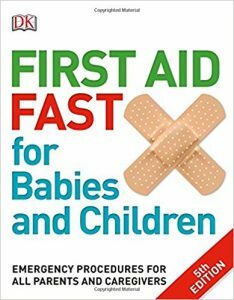 First Aid Fast for Babies and Children gives you all the direction you need to deal with an injury or first aid emergency and keep your baby or child safe.